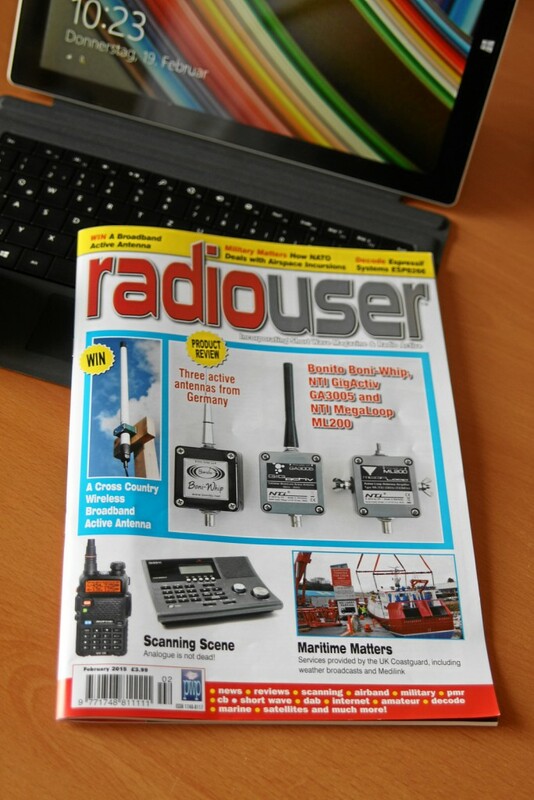 Just arrived in the Bonito Office: The new RadioUser Magazine with the Test of the Bonito Antennas #BoniWhip #ML200 and #GigActiv by Mike Richards. Subscribers have the issue already and interested SWL can buy it already in the UK. I hope they allow me to release an PDF of if it in the near Future. Thank you very much to the RadioUser Team, Mike Richards and Chris Taylor (Taylor Made RF Limited) for the great Support.